Meat and raw materials from beef are a valuable source of lysine and histidine. 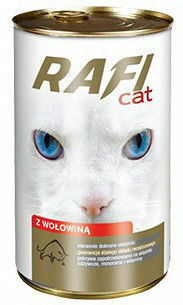 The food contains zinc and taurine in amounts covering the needs of adult cats of all breeds. Particularly important components present in the meat and raw beef are derived from fatty acids of the Omega-3 and Omega-6.